The whole concept of creating burger recipe suggestions symbolic of different countries around the world and their cuisines came from considering the nature and precise definition of a burger. What makes a burger a burger - or not, as the case may be? 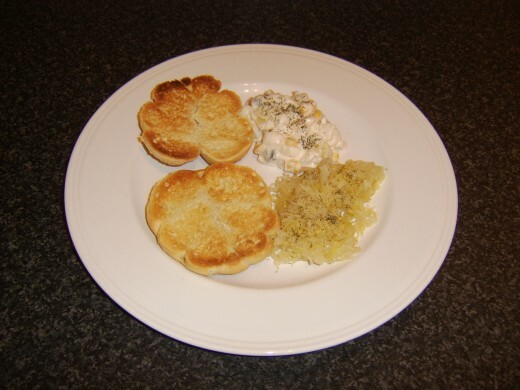 This page is dedicated to examining German cuisine and food culture and crafting what is hopefully an acceptable variation on a burger to represent Germany. On the basis that a burger is a meat based sandwich with an accompaniment which is usually potato based, this German themed burger has been constructed. 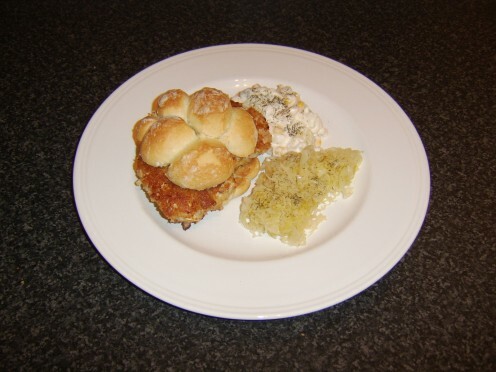 Turkey is a very popular meat for making schnitzels in parts of Germany, so this breaded turkey breast steak was placed in a bread roll as the principal part of the meal. Potato salads in Germany are sometimes made with mayo and sometimes with vinaigrette - the mayo option was selected. 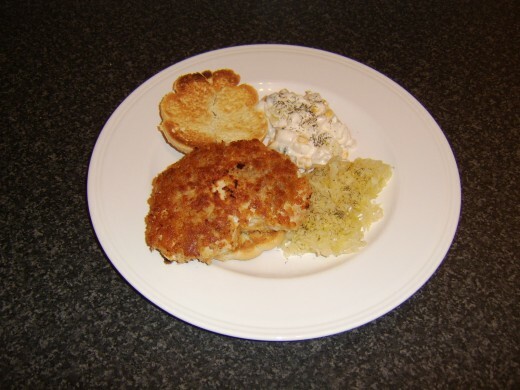 As a final accompaniment, the classic German preserved cabbage - sauerkraut - completes the ensemble. The sauerkraut in this instance is from a jar, bought in the supermarket. 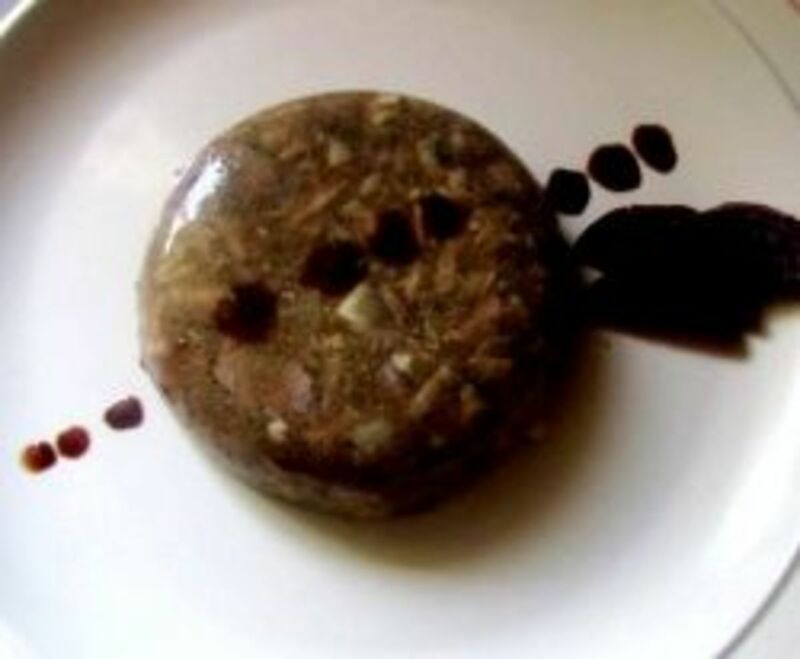 It is necessary to prepare the potato salad in the first instance. The quantities included here will make for two servings. 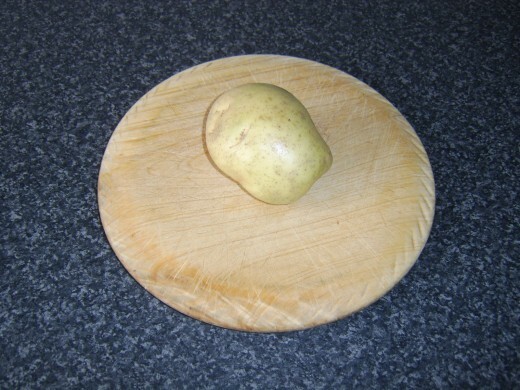 Start by peeling the potato and chopping it in to quarters. Resist the temptation to chop it any smaller at this stage, as all that will happen is that the smaller pieces will simply absorb more water, turning them in to mush and ruining the whole effect of your potato salad. Put the potato in to a pot and add a little salt and enough cold water to ensure the pieces are all comfortably covered. Place the pot on to a high heat until the water begins to boil. Reduce the heat and simmer gently for twenty minutes. Drain the potatoes through a colander at the sink. 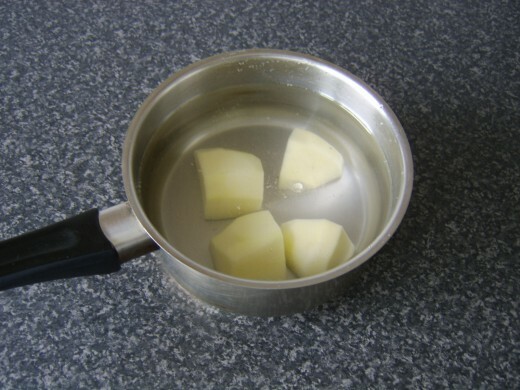 Run the pot under cold water to cool it then return the potatoes to the pot along with enough fresh, cold water to once again cover them completely. 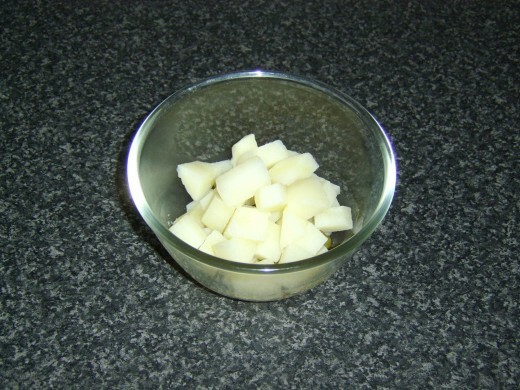 Leave the potatoes in the cold water for a few minutes only, while you prepare the remainder of the salad ingredients. This cools them quickly and allows them to be easily handled and chopped. Do not leave them in the cold water for more than these few minutes or they will begin to break up. 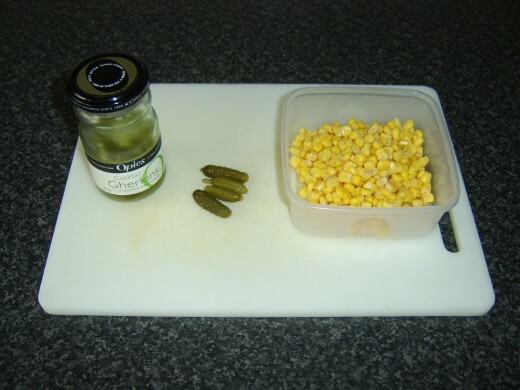 Spoon the corn in to a mixing bowl. 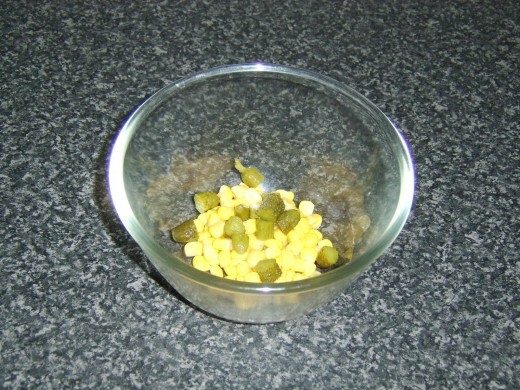 Chop the pickles in to pieces about the same size as the corn kernels and put them in to the bowl. 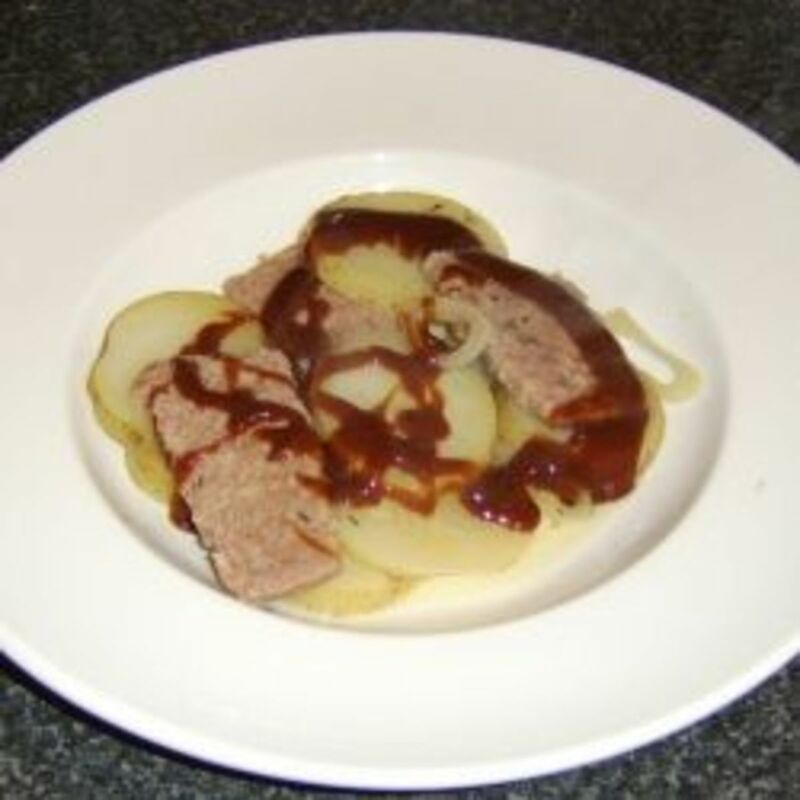 Take the potato quarters one at a time and slice and chop them in to approximately half inch chunks before adding them also to the bowl. 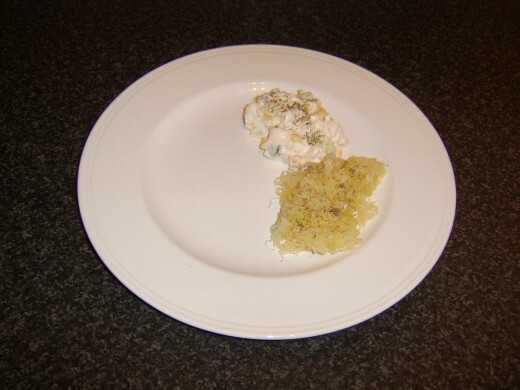 Spoon in the mayo, season with salt and white pepper and stir well but carefully, so as not to break up the potato. It is not absolutely essential but the potato salad should now ideally be covered with plastic wrap and refrigerated for at least an hour. Overnight would be fine if time is an issue. 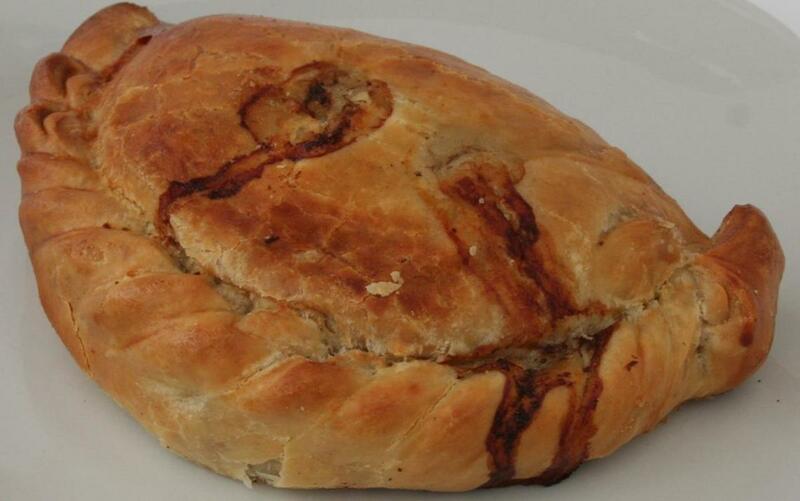 This allows the flavours to infuse as well as a firmer texture to develop. Break the egg in to a flat bottomed bowl, season with salt and pepper and beat lightly. Spread the breadcrumbs evenly on a dinner plate. Add a little oil to a non-stick frying pan and gently heat. 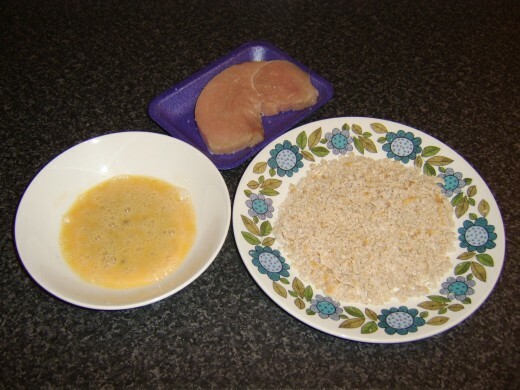 Dip the turkey fillet in the egg and pat on both sides in the breadcrumbs. Draw it through the egg a second time and again pat in the breadcrumbs. This makes for a thicker, more even coating. Lay it carefully in the pan and fry on a medium heat for around seven to eight minutes each side until done. 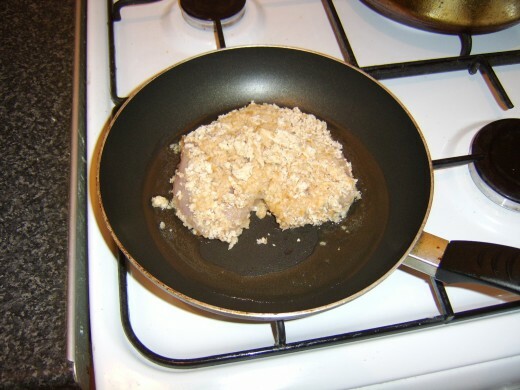 When the turkey schnitzel is cooked, turn the heat off under the pan and push it to a cooler part of your stove. Leaving it to rest like this for a few minutes makes for a much juicier and more tender schnitzel. 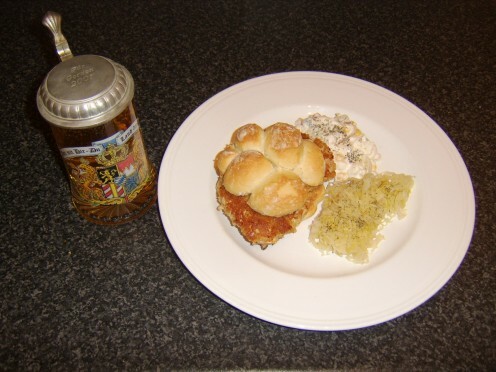 This also allows you time to cut your bread roll in half, toast it and begin the assembly of your plated meal. If you like a beer with your burger, it really has to be a German beer to go with a German themed burger. 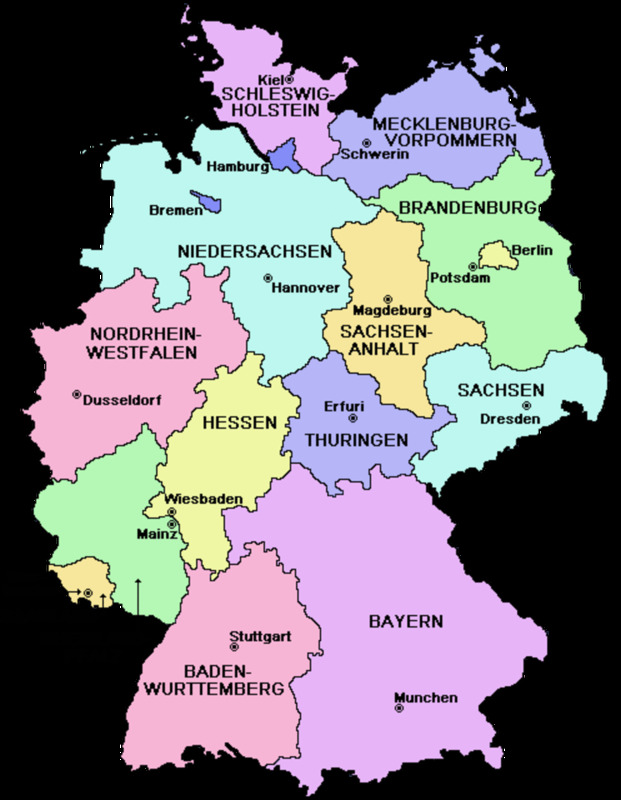 German beer is widely regarded as being the best in the world and Germans are rightly proud of their beer, particularly in Bavaria and cities such as Munich, where the annual Oktoberfest is a world famous event. Pilsner style beer is popular throughout Germany and is often served in very attractive tankards, made either from stone or glass. Each year, a specially designed tankard is produced to celebrate Oktoberfest. If you fancy something a little different with your burger, however, look in your supermarket for weissbier, a beer made from wheat. 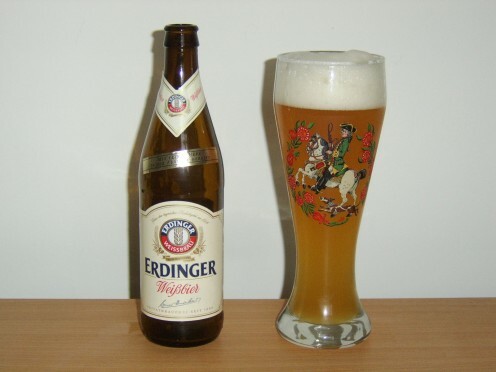 Weissbier is very different from pilsner style beer but is at least equally delicious. 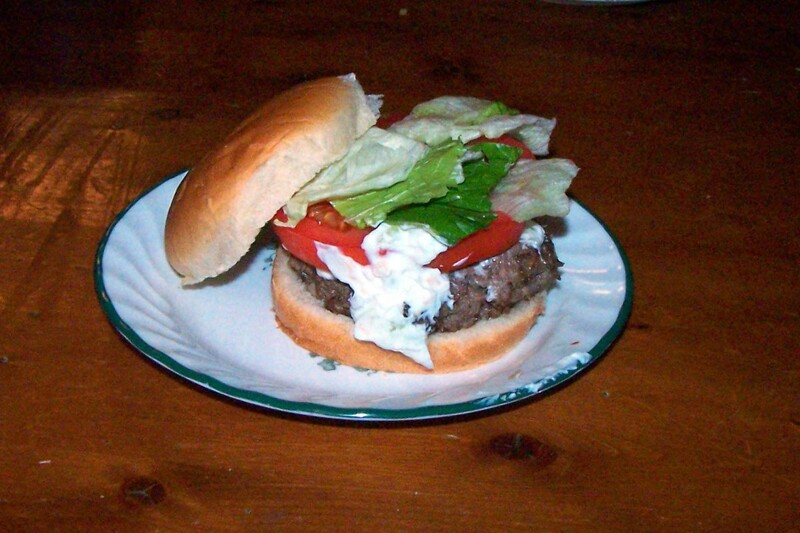 Do you find this Burger Recipe Appealing? Thank you for your visit to this page. 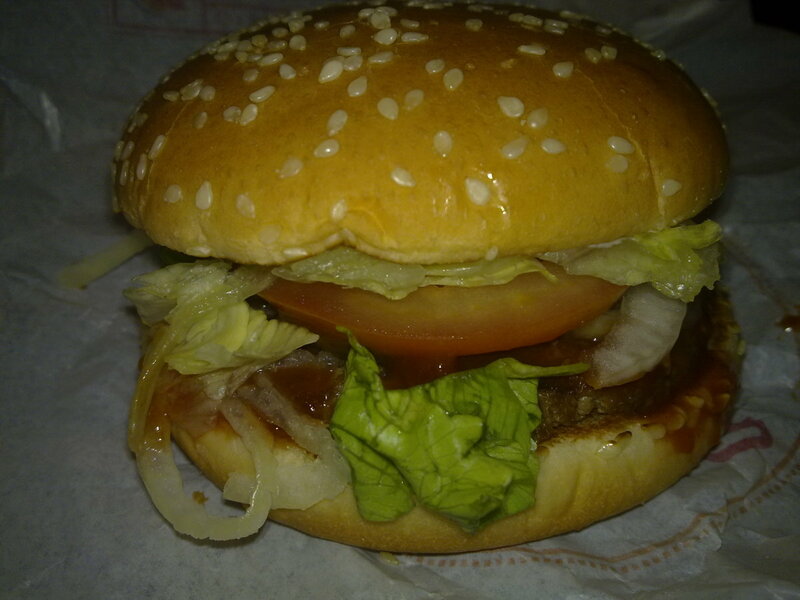 Hopefully, you find the idea of this German themed burger appealing and will give it a try at home. Any comments or feedback you have may be left in the space below.